Prime Primer hydrating is a hydrating primer that leaves your skin with a smooth and silky surface for smooth make up application. 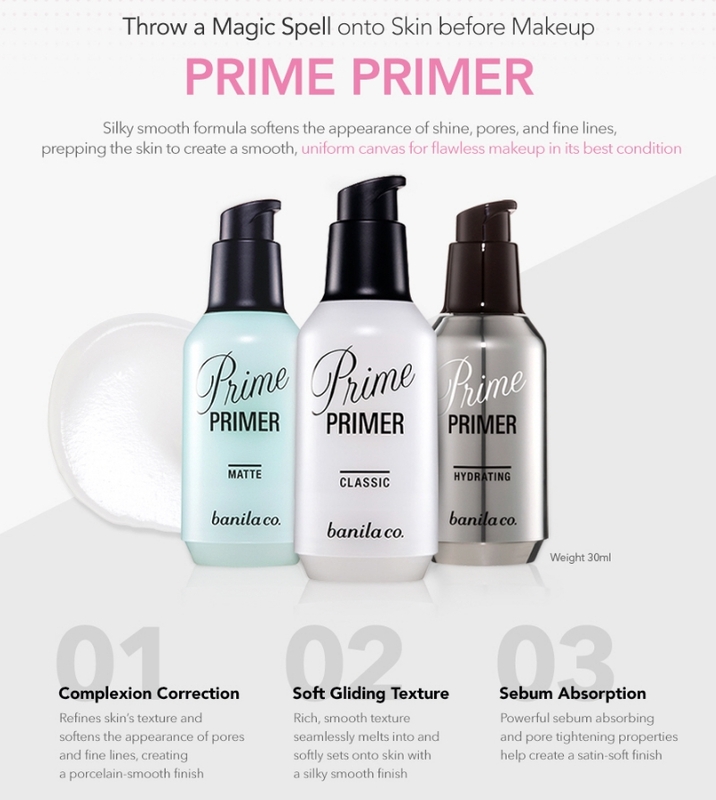 Radiant your Skin Care with the [Banila co] Prime Primer Hydrating Primer 30ml! we aim to provide you best korean products to take good care of your skin, including Cosmetics, Makeup, Face primer. Hydra Face primer online. 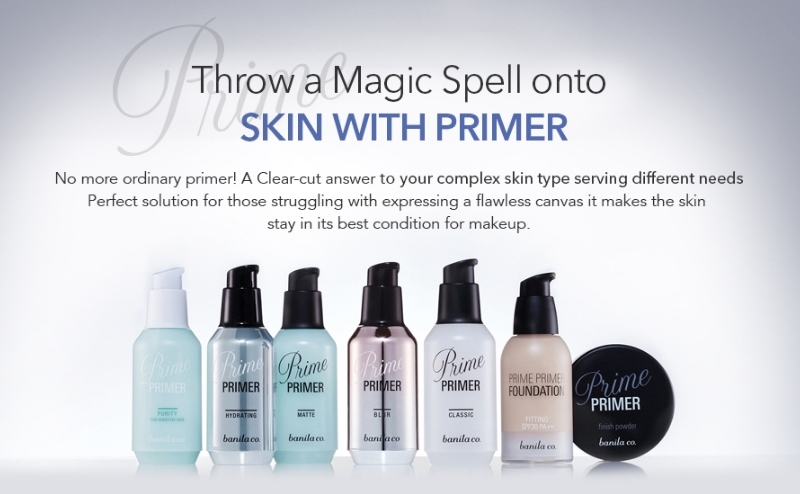 Banila Co. Prime Primer Hydrating prep your skin with a hint of magic on your skin prior to makeup. 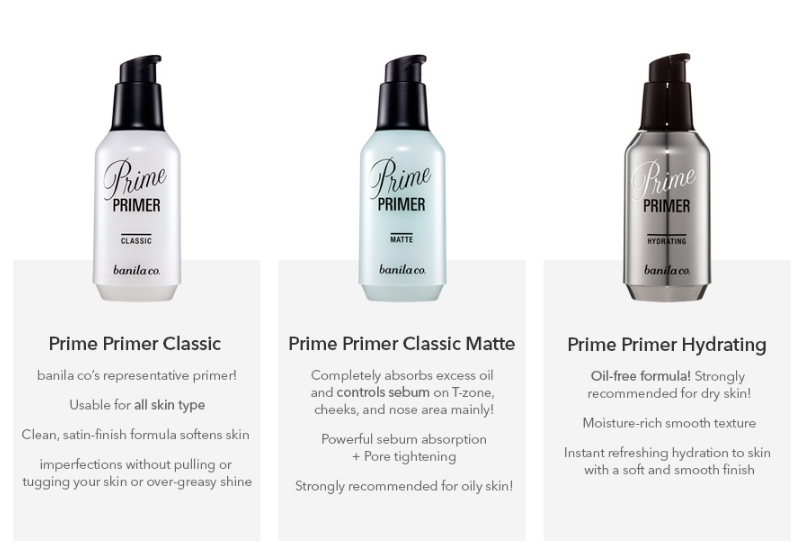 This original prime primer has clean and satin finish formula that minimizes the appearance of shine, pores, and fine lines. It provides a smooth, uniform canvas for flawless makeup application. Recommended for those with large pores and uneven skin surface. 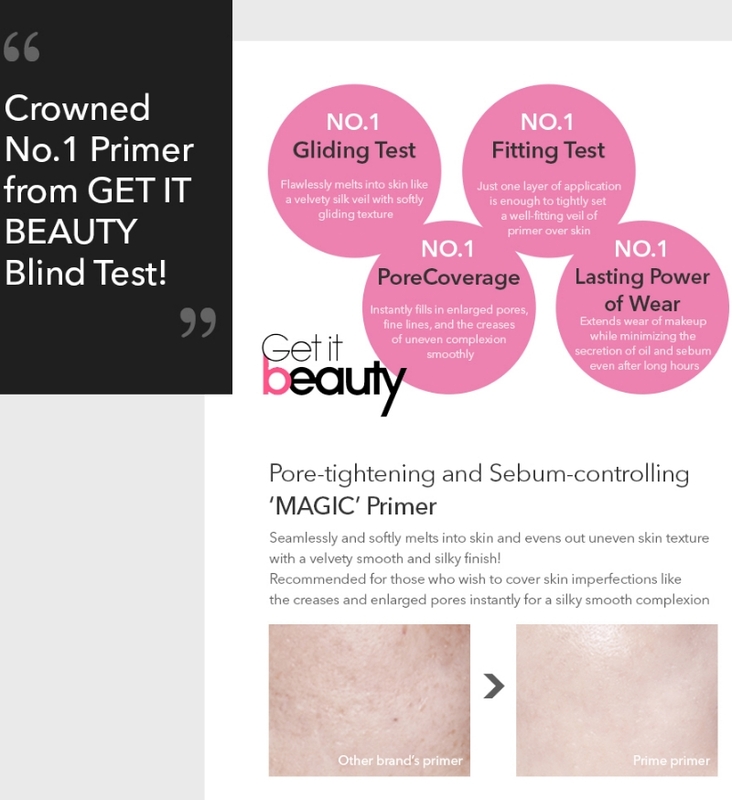 This won the Best Primer prize from Get It Beauty, which is famous Korean beauty show. #Hydrating : for the ones with dry skin type that meeds deep hydration for glided makeup. Offering 24 hours of hydration for dry skin type who needs moisture on the skin. Light weight protective moisture layer enriches moisture inside the skin texture and keeps powdery outside. Inactive ingredients: Cyclopentasiloxane, Dimethicone Crosspolymer, Water, Propylene Glycol, etc. I cannot express how much I love this product! It smells so amazing, I'm tempted to use it all the time. I apply it before my makeup like foundation and blush and whatnot, and found that this primer makes my makeup stay on longer?? haha, it even makes my skin look less patchy. I would definitely recommend it! agu…@yahoo.com Good product, made my foundation last longer and hides my pores real well. This post is probably not the best review for this product, since I barely used it to give an honest review. Maybe it's because I normally use BB cream and not foundation, my hands haven't really reached for this product. 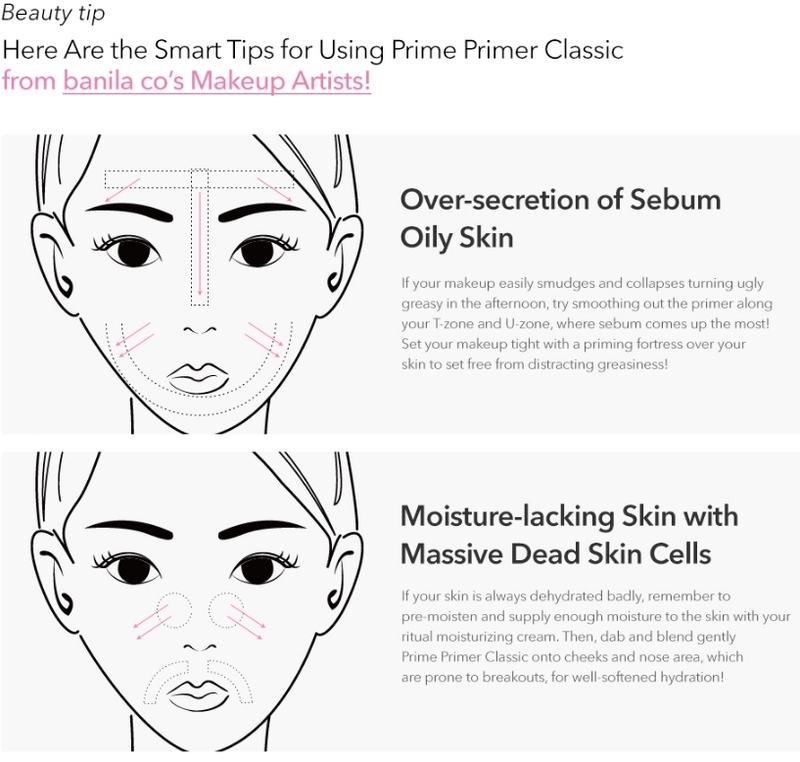 Not to say that you cannot use a primer with a BB cream/cushion, but I just personally don't.